This weekend, Nick and me have his sister Kayleigh over, who had already fallen in love with Smoothiebowl breakfast when she visited us back in summer. 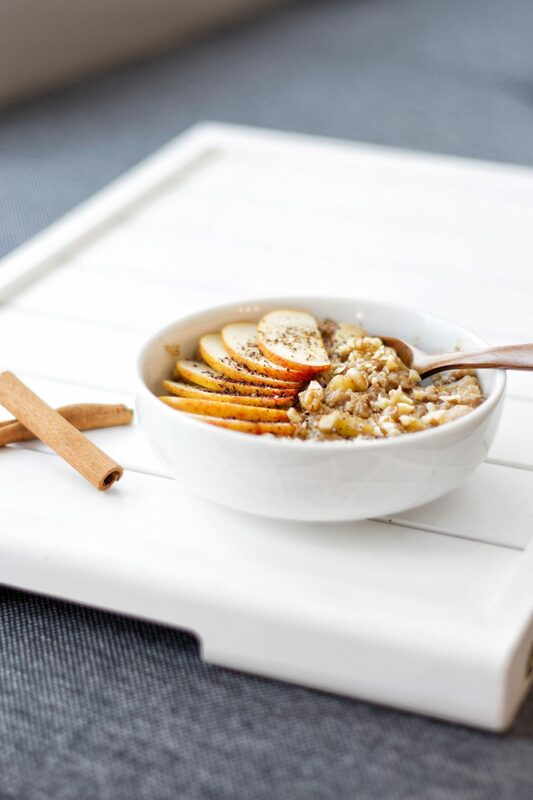 As the days have since become darker and colder we decided to have a more warming breakfast this time: Oatmeal! 1. Peel the apple and cut it into small chunks. 2. Heat a saucepan over medium heat and add the coconut oil. Add the apple chunks and cook for a minute or until the apple aroma starts to come out. Make sure to stir well, so that the apple chunks to not get burnt. 4. Add the protein powder, followed by the water and apple juice and mix well. 5. Cook until the mixture thickens, then take off the heat. The garnish is of course down to you! Some other great ideas would be to add some chia seeds for a good crunch or chocolate sauce – or simply fry some apply with cinnamon and coconut sugar and add it to the top. Hope you guys have/had a lovely 1st advent and enjoy this recipe! 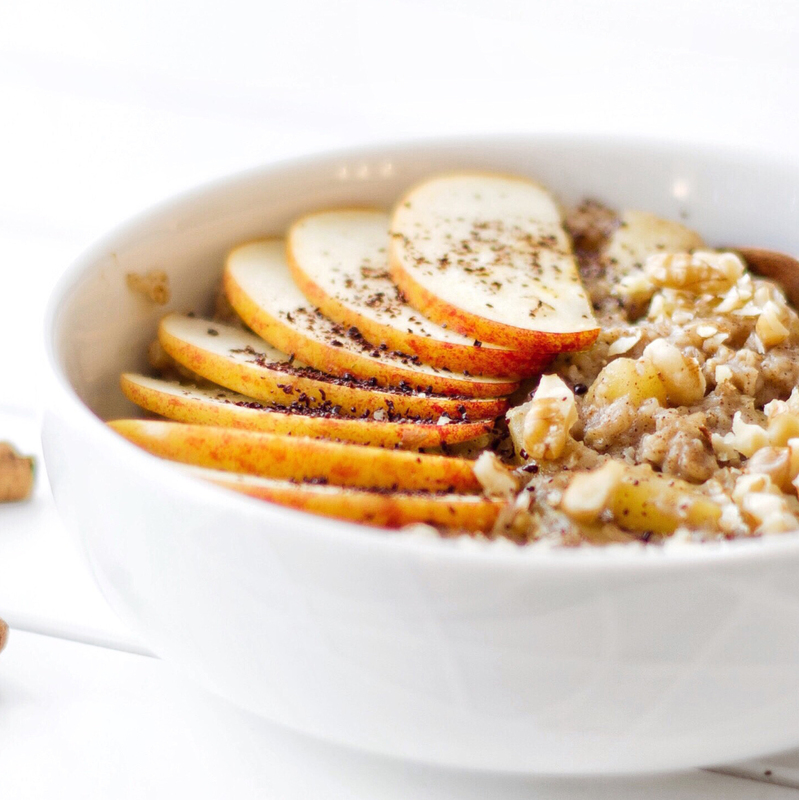 Let me know which autumn/winter breakfast recipes you would be interested in!